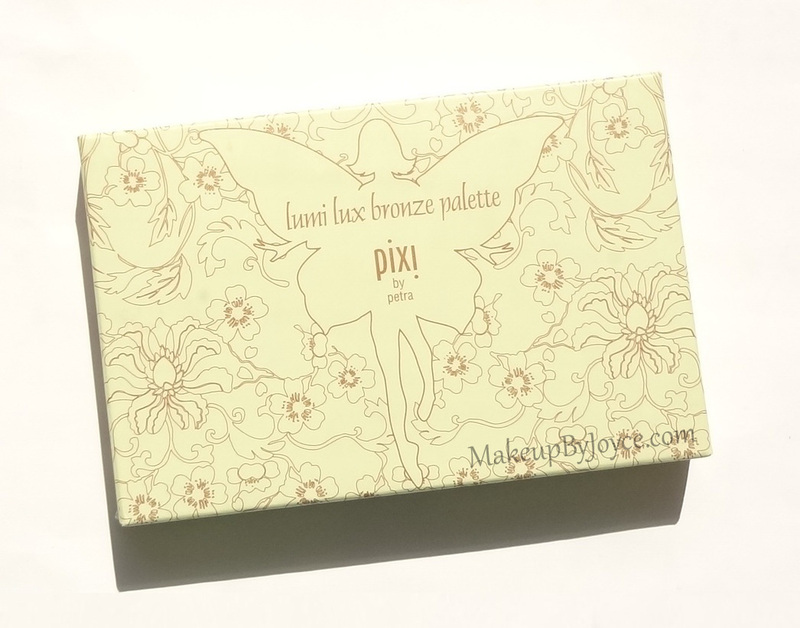 Packaging: The Pixi Lumi Lux Bronze Palette* comes in a light green cardboard box. The packaging material is definitely more eco-friendly than the standard plastic compact. When you pull the ribbon on the side, the palette slides out and reveals an all-in-1 gorgeous face kit that's embossed with 3 lovely fairies. 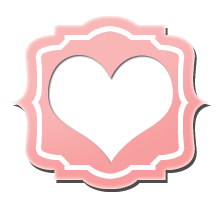 Fortunately, the pretty design does not disappear after a few swipes. It actually runs pretty deep. Only the Pixi name is an overspray. 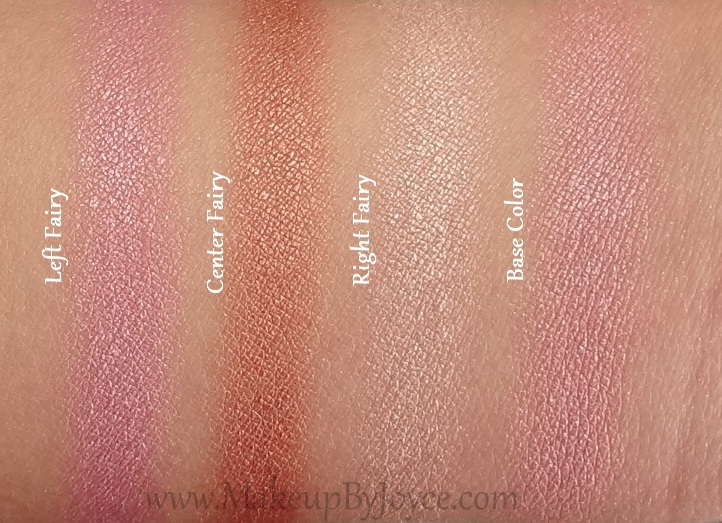 Rosy Sunrise contains 4 different shimmery shades, including a magenta pink, bronze, rosy pink and champagne shade that can be used to add a flush of color to your cheeks, to warm up your complexion and to highlight any area on your face, even your eyes. 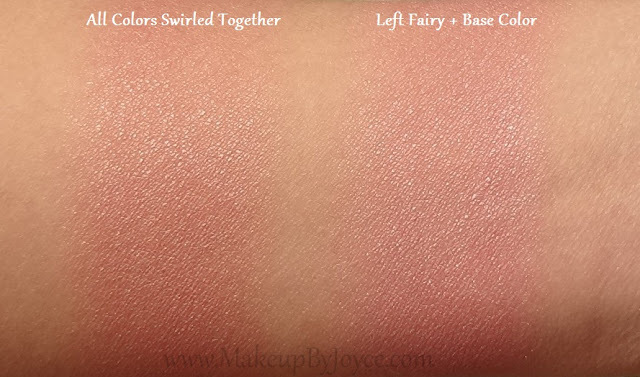 Overall, the product has good pigmentation and glides onto the skin nicely & evenly, but I would be careful with the bronze shade because it can be really pigmented if you use a dense brush or a heavy hand. To use as a bronzer, I sweep either my Japonesque blush brush (mini review) or Studio Gear #13 brush (full review) across the pan, tap off any excess and then apply onto my cheek area. On my NC30/35 skin tone, the color translates into a bronzey peachy tan shade with a hint of rose. To use as a blush, I just swirl my brush all over the left side of the pan to pick up the magenta and rosy pink shade. Lastly, to use as a highlight, I tap my Inglot 4SS brush (full review) or Sonia Kashuk Multi Purpose brush (full review) into the right fairy and then apply onto my cheekbones. 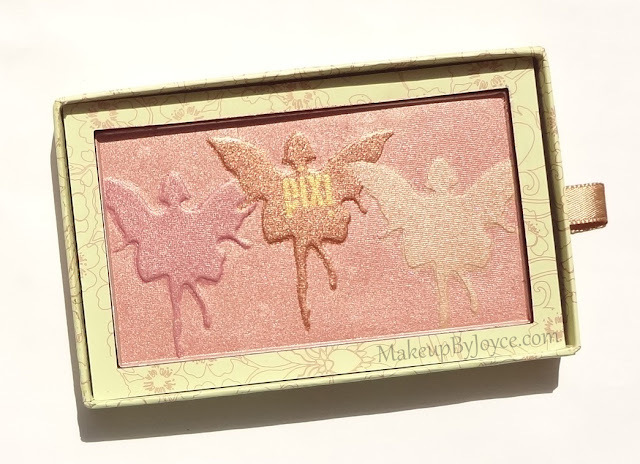 It can also be used to highlight the bridge of the nose, cupid's bow, chin, the inner corner of the eyes, brow bone or wherever you want to create a gorgeous glow. One of the best things about this product is that it doesn't get dusty or make a mess in the pan. Also, it last at least 8 hours without fading when worn on top of liquid foundation + setting powder. Bottom Line: The Pixi Lumi Lux Bronze Palette is ideal for those who wants something quick and easy and don't have time to mess around in the morning. Also, it's perfect for travel because it's such a multi-tasker that can be used separately as a bronzer, blush and highlighter or mixed together. This is definitely a must-have for those who love shimmery shades because they brighten and flatter any skin tone. Moreover, who can say no to this adorable palette? 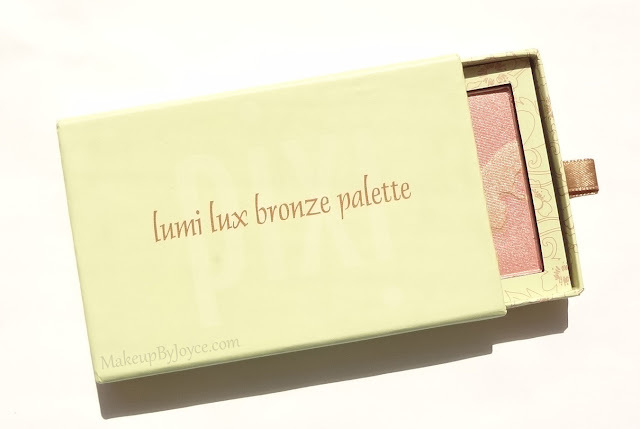 Note: The Pixi Lumi Lux Bronze Palette in No.1 Rosy Sunrise contains 5.68g of product and retails $25 at Pixi's online store and Target. 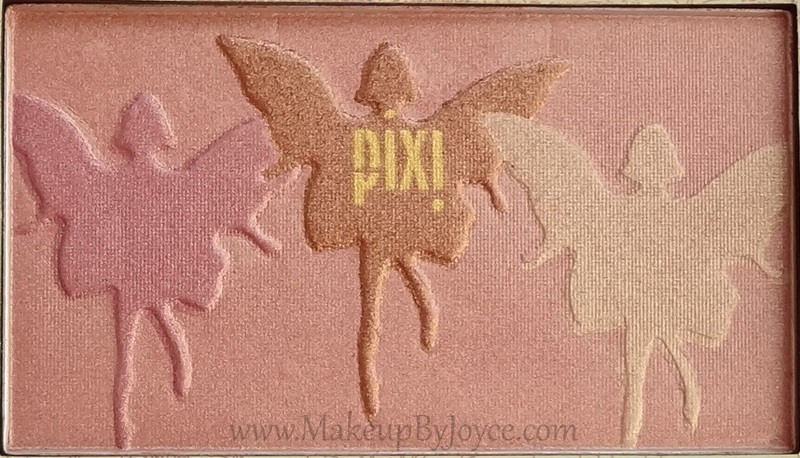 What Pixi beauty products have you tried or would love to try? 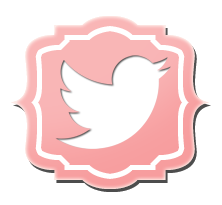 Ooo this is really cute, and I do think the color is easy to use! 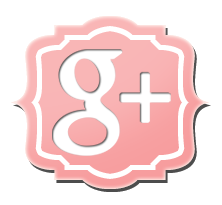 It's a lot of product for the price too :) Thanks for sharing Joyce! 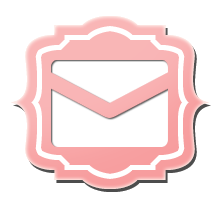 Also, remember there's a 25% off coupon deal going on right now at PixiBeauty.com.